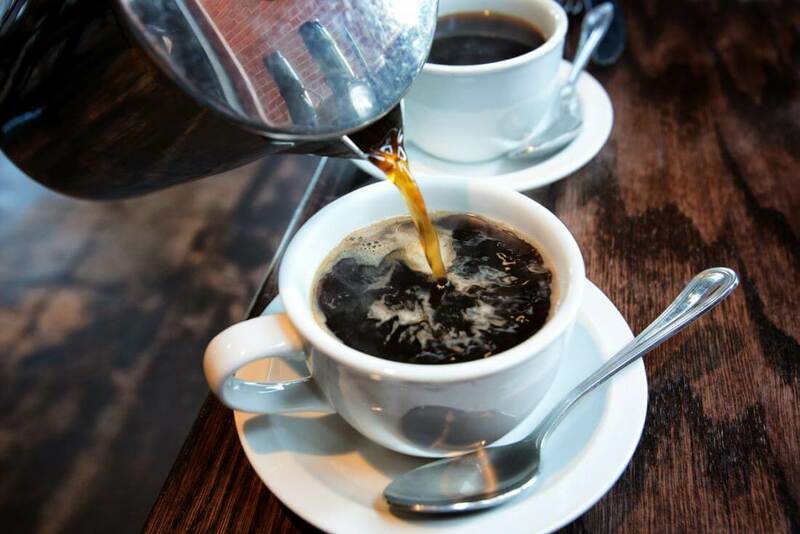 A good cup of coffee is essential for many people especially in the morning, when it feels like you’re half awake and need that jolt of caffeine. However, this is best taken in moderation because too much of something isn’t good for your health. This 30-year-old female office worker, Han Xiao, from Wuhan found this out the hard way when she contracted the flu and developed a severe cough that persisted for more than half a month. Han Xiao is a coffee addict and one of the first things she would do when she arrives at the office is to make a cup of coffee. She usually drinks more than 10 cups a day especially in the office and likes to take it black. However, one day, she experienced a terrible coughing fit that lasted for more than 10 minutes, when she caught a chill, Sina reported. After that, she felt severe pain in her chest but didn’t think anything of it until she tried to fall asleep and couldn’t turn over. The next morning, she went to the hospital to check and the doctor took some X-rays to figure out the cause of the pain. 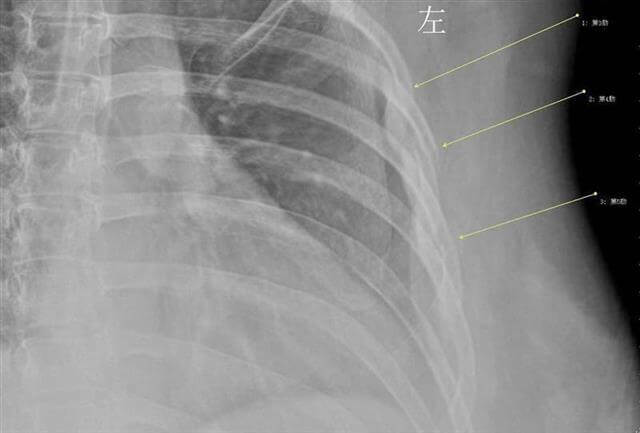 To his surprise, he discovered that her third, fourth and fifth rib had fractured due to the violent coughing fit so he treated her accordingly. 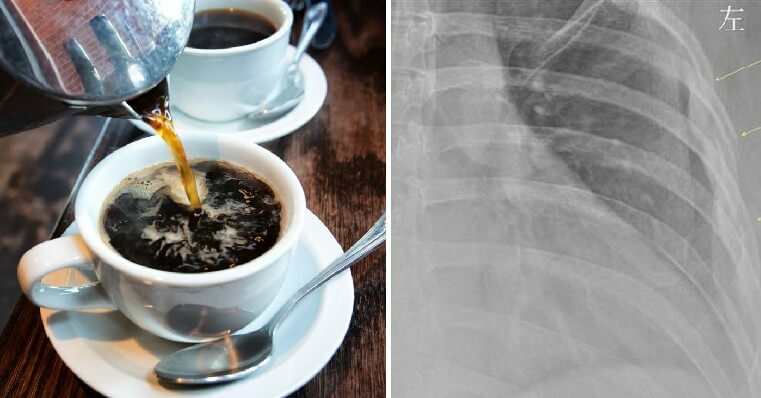 To find out the cause of the fractures, he decided to ask her a few questions and was even more shocked to find out that Han Xiao drank coffee like some people drank water. In fact, she already had this habit for more than seven years and it was not doing any wonders for her health. The doctor performed some bone mineral density tests on Han Xiao which showed that her bones were similar to someone in their 60s and she was on the way to early osteoporosis. Welp. 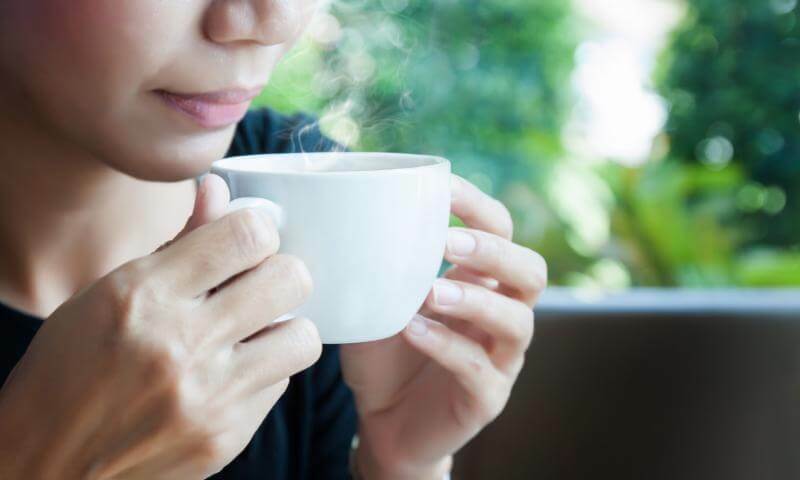 According to WebMD, caffeine, salt and carbonated drinks are some of the food that may contribute to osteoporosis so it is advised that women especially should take these in moderation. 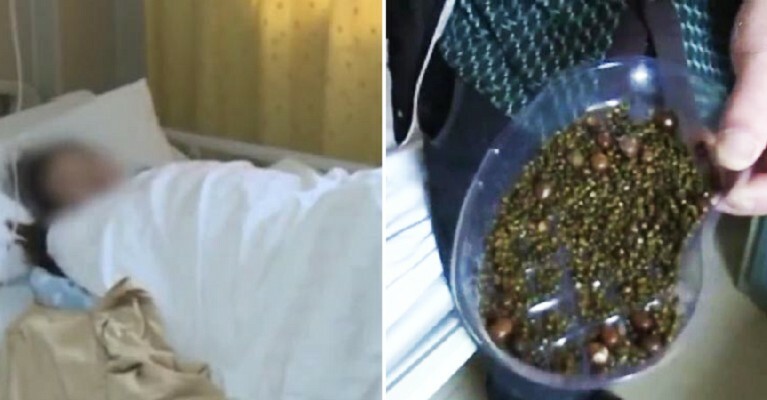 In fact, the doctor said there was another case where a 23-year-old guy who loves to drink carbonated beverages also experienced the same thing as his ninth rib bone got fractured. The doctor advised that one should keep a healthy diet and be fit to ensure that their health is in optimum condition. It is also important to maintain a calcium-rich diet for healthy bones and he also recommended that women over the age of 45 should go for regular bone density tests. Remember to stay active and have a moderate diet for a healthy body!